Clemente Jacques' Naipe Fino El Fenix is one of several alternative names for the same pack. 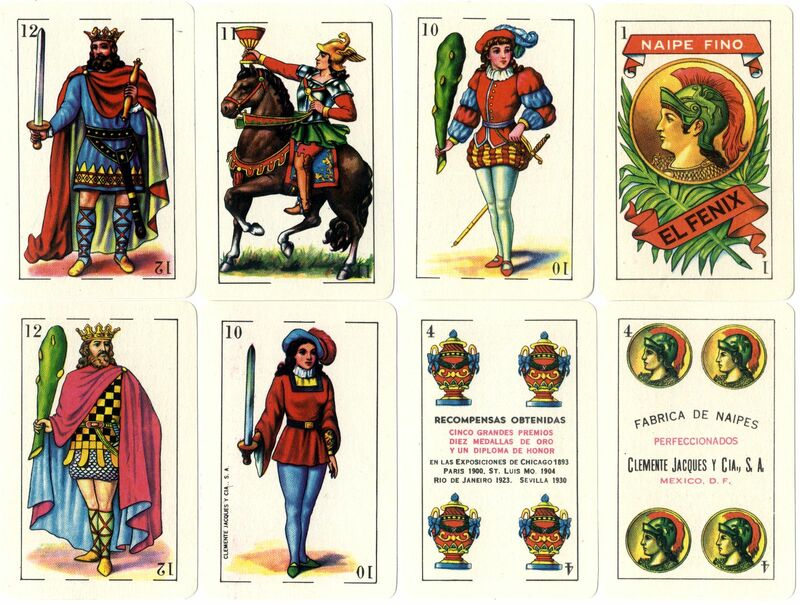 In it's earliest days it was titled Club (c.1900-20), then Casino (1920s), Minerva (1950s), El Fenix (c.1960-70s) and Valenciano. Normal sized and patience sized packs are known and in later editions the cardboard is very thin and translucent. Above: Naipe Fino El Fenix by Clemente Jacques y Cia S.A., Mexico, c.1960-70. 40 cards. 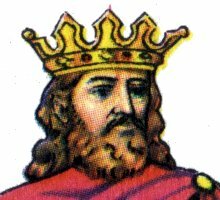 The manufacturer's name can be read on the Four of Coins and the Pages of Swords and Coins. The manufacturer's address is given on the box as: Oriente 237 No.50, Mexico 9, D.F. This is not the usual address, which was usually F.C. de Cintura 1. In 1970 the former Clemente Jacques y Cia, S.A. changed hands and was renamed Pasatiempos Gallo S.A. In 1990 it became Pasatiempos Gallo S.A. de C.V. 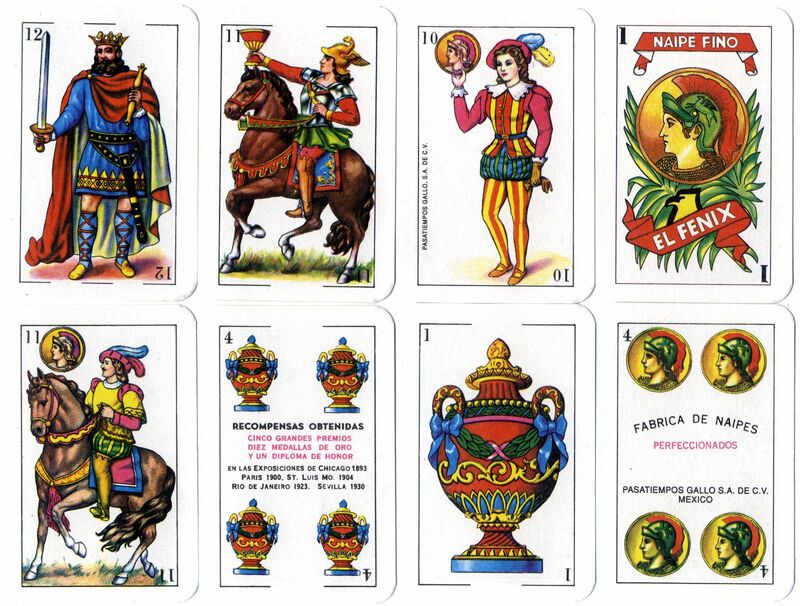 Above: El Fenix Spanish-suited playing cards made by Pasatiempos Gallo S.A. de C.V., Mexico, c.2000. 40 cards. Some small details have changed from the above edition but on the whole the designs are the same; the Ace of Coins has the legend El Fenix in white with a bird's head above. The index number 1 on the Ace of Coins is in a larger font size. The manufacturer's name can be read on the Four of Coins and the Pages of Swords and Coins.